KATHMANDU, Aug 14: Members of a parliamentary subcommittee four years ago found several weak points and substandard work in the construction of the main canal at Sikta Irrigation Project during a site inspection. But the Finance Committee subcommittee did not report the flaws to the government or any other oversight agency because of the vested interest of one of its members, it has come to light. At least one member of the subcommittee and two committee secretariat officials claimed that they had seen the flaws with their own eyes on July 28, 2014. But the committee had neither discussed the matter nor issued any directives to the government. CP Mainali, coordinator of the subcommittee for study on revising procurement law, Bikram Pandey and about a dozen other lawmakers were on the trip. Talking to Republica, erstwhile subcommittee member Kamala Panta said they had found that several parts of the main canal, built by Kalika Construction Pvt Ltd, were damaged and there were weak points. The canal has had at least two breakdowns in the last two years, including one on July 23 during a testing. The testing was done only after the defect liability period had lapsed. A member of the committee secretariat, requesting anonymity, confirmed Panta’s claim about several weak points seen in the canal during the monitoring. But the committee did not prepare any separate report nor insert any information about the flaws in its Annual Report 2072, which details each monitoring it carried out that year, and has already been submitted to parliament. Locals had also reported substandard construction at the time but the authorities did not take it seriously, according to a recent Republica report. 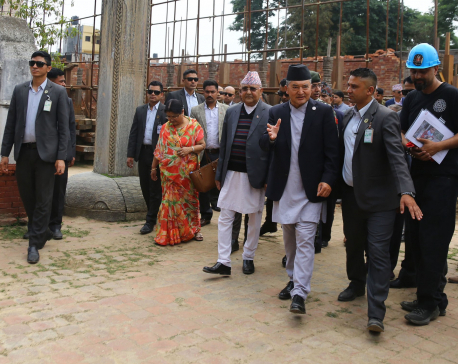 Then secretary of the committee Krishna Hari Khadka claimed that the trip was only in connection with effecting reforms in the Public Procurement Act 2007. The reason why they shied away from pointing out the flaws was that subcommittee member Bikram Pandey was also in the inspection team. Pandey owns Kalika Construction Pvt Ltd, the contractor. The committee’s report says the one-day trip including two-way airfare was financed by Kalika FM, which also is owned by Pandey. Panta, however, said she was not aware the trip was financed by Pandey’s company. Retired secretary of the committee Som Bahadur Thapa said it was their prime duty to report such flaws to the government. 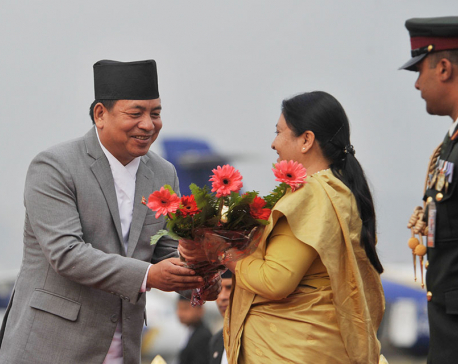 “Probably they could not do so for lack of moral fiber,” added Thapa. The subcommittee also inspected the Kohalpur-Nepalgunj and Jamunaha road the same day and wrote a commentary. The annual report said, “The drawing and designs of the road project were faulty, causing delays in the construction and cost variations that prompted more delays.” The road project was sliced into two roughly equal parts and half of it was completed before deadline. The defaulter road contractor here was Pappu Construction. During the trip, Pandey was lobbying for the cost variation in Sikta, according to the lawmakers. The annual report inserted the cost variation issue as sought by Pandey, giving him an excuse for delays in the project which started 13 years ago and remains incomplete still.